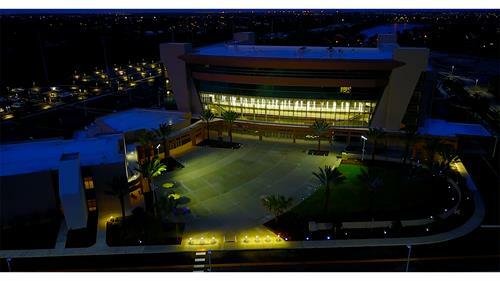 The Charles F. Dodge City Center Pembroke Pines, is in the heart of Pembroke Pines, the second-largest city in Broward County, and is nestled between Mediterranean style residences, casual-chic and family-style restaurants featuring international cuisine and numerous name-brand stores and shopping malls. 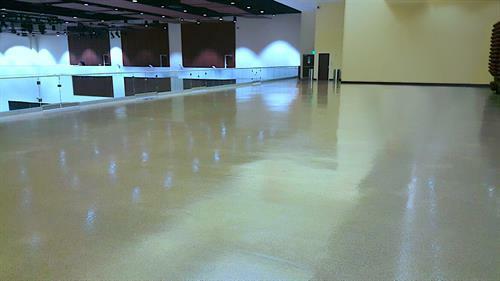 The city center is a multi-use facility that is being built to serve the community by hosting events such as Conventions, Concerts, Meetings and Trade Shows, and facilitating local events which will promote civic, educational and community pride. 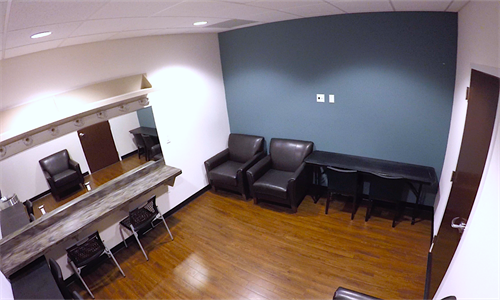 This SMG managed facility offers 35,000 square feet of flexible concert, meeting and event space. Besides its intelligent design, the City Center is also visually striking, attendees will notice the modern contemporary architecture with its sleek lines and the unique layout of the facility. The City Center's largest space is the Great Hall which measures over 23,000 square-feet. 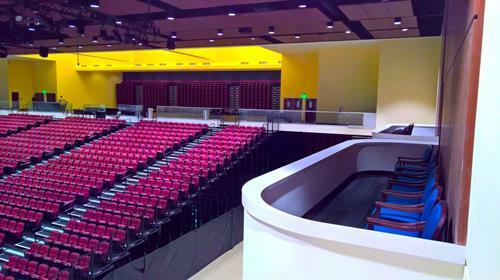 This impressive space offers room for over 3,200 guests seated theater style, 2400 for concerts, 1,300 classroom style, 1,120 banquet style and over 100 exhibits for trade shows. The Mezzanine is 4,544 square-feet and can seat up to 210 guests for banquets. 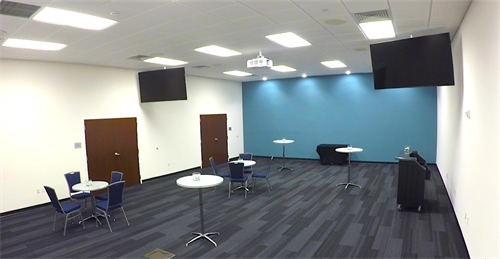 The center also offers twelve (12) flexible meeting rooms with 5,804 square feet of state-of-the art amenities and accommodates up 300 attendees. 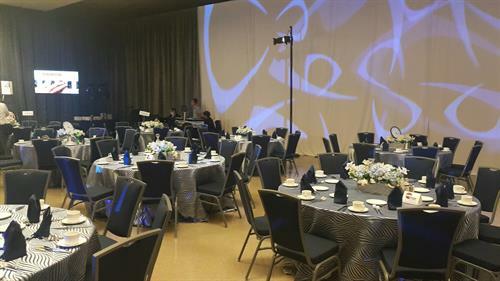 Supporting these spaces are the City Center's well-equipped catering facilities by SAVOR which means, that everything from coffee breaks to five-course banquets, will run seamlessly. Ample space for freight access into the Great Hall offers added convenience for larger events. If you can imagine it, we can make it happen. 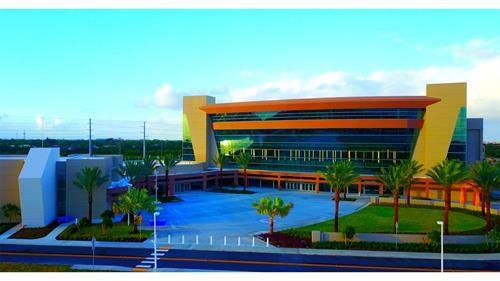 The mission of the Charles F. Dodge City Center Pembroke Pines is to serve the community by offering a state-of-the-art facility with professional management, and by hosting local events, conventions, trade shows, meetings, and concerts generating significant economic impact for the City of Pembroke Pines as well as promoting education, entertainment and community pride, in a fiscally responsible manner. In addition, the City Center will support and encourage actions and programs that enhance the desirability and attractiveness of Pembroke Pines to neighboring communities. 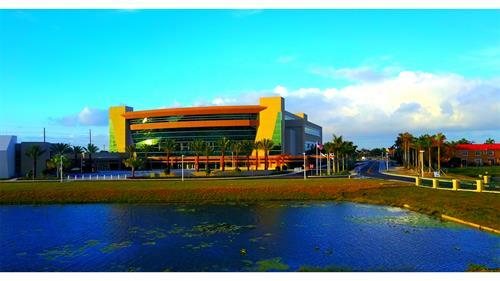 The Charles F. Dodge City Center Pembroke Pines is a master planned mixed-use community within the City of Pembroke Pines, Florida. The City broke ground on the Center in the summer of 2015. 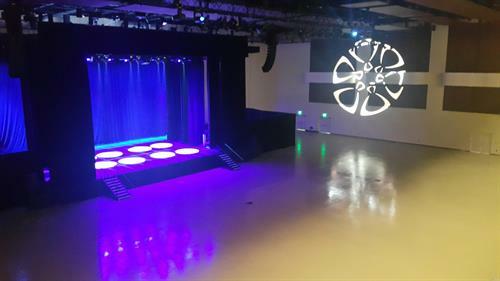 The 175,000 square foot facility has been designed to accommodate banquets, conventions, meetings, trade shows and performance events. The Great Hall - 23,000 Sq. 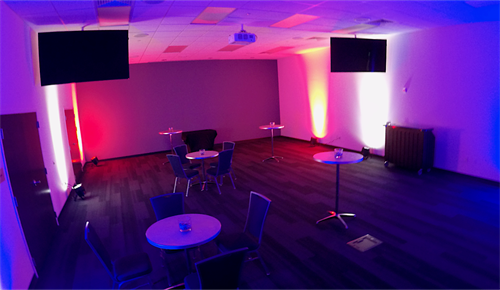 Ft.
Mezzanine - Flexible space - 4600 Sq, Ft.